A return of Baseball Tonight isn't happening in 2019. In early November, we reported some growing conjecture and internal enthusiasm that ESPN was gearing up to bring back daily baseball studio programming. Fast forward to today, and Awful Announcing has learned that ESPN has turned away from this possibility and is no longer considering such a move as the 2019 season draws closer. The iconic show will still air as it did in 2018 as a Sunday night countdown leading up to Sunday Night Baseball. ESPN began slimming down their MLB studio ambitions in the spring of 2017 on the heels of a large round of layoffs at the company. The network plugged that programming hole by partnering with MLB Network to syndicate Intentional Talk. 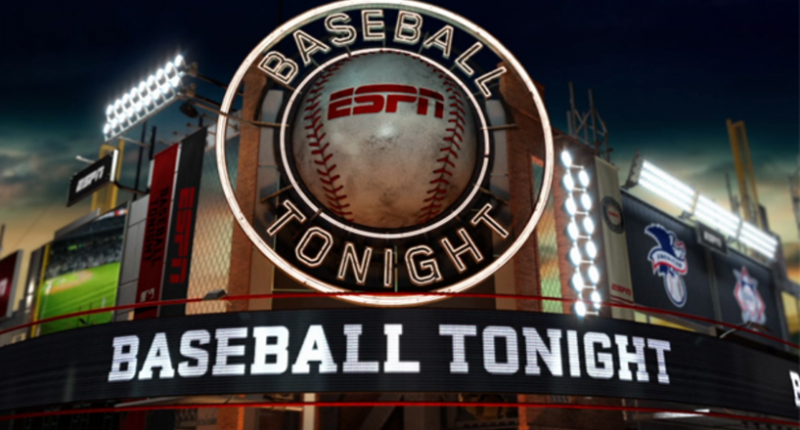 That partnership lapsed after this season, and with their contractual obligation to MLB, ESPN seemed poised for a MLB studio programming comeback. That optimism (which ESPN never commented on and proved to just be conjecture) proved to be premature and now ESPN is closing in on a 2019 season without any original daily MLB programming and without the MLB Network partnership. While this is certainly not a particularly positive development for baseball fans, I think that’s just where we are in terms of national interest in baseball. There’s just more national interest in the other major sports (especially the NFL, NBA, and college football,) despite the fact local fandom for baseball continues to thrive. Maybe the sport isn’t actually losing national interest, but in terms of airtime on national TV and radio programming, it’s hard to argue MLB’s piece of the sports media pie has not been getting smaller over the last decade or two. For example, compare the media frenzy related to Anthony Davis’ trade request and the national fervor and interest that has generated compared to the measured amount of buzz surrounding MLB’s two biggest free agents (Bryce Harper and Manny Machado, two bona fide superstars) still looking for their next home roughly two weeks before the start of Spring Training. At the end of the day, you can understand why ESPN is shying away from airing MLB-specific studio programming when you know they’d much prefer to have Woj on set in Bristol going through the latest NBA mini drama. It just seems that there is a new reality that fewer MLB stories break out as being major national stories opposed to the NFL, college football, and the NBA. Ultimately, that trend is playing the biggest role as to why the worldwide leader can’t commit to bringing back what was once a quite revered and well-received staple for them and for baseball fans alike.